Hamdi Koç was born in Fatsa. He studied at Middle East Technical University for a while then transferred to İstanbul University and he graduated with a degree in English Language and Literature. 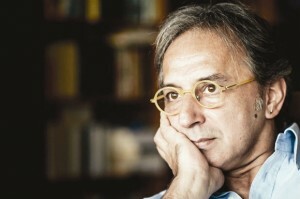 With his novel Angels Are Men (Melekler Erkek Olur, 2002), he became one of the most read authors in Turkey. His latest novel Naked and Alone has received Dünya Kitap Award of the Year in 2013 and 43. Orhan Kemal Novel Prize in 2014.